Religious Tees & Bodysuits Just $12.99! Down From $25! Shipped! You are here: Home / Great Deals / Religious Tees & Bodysuits Just $12.99! Down From $25! Shipped! 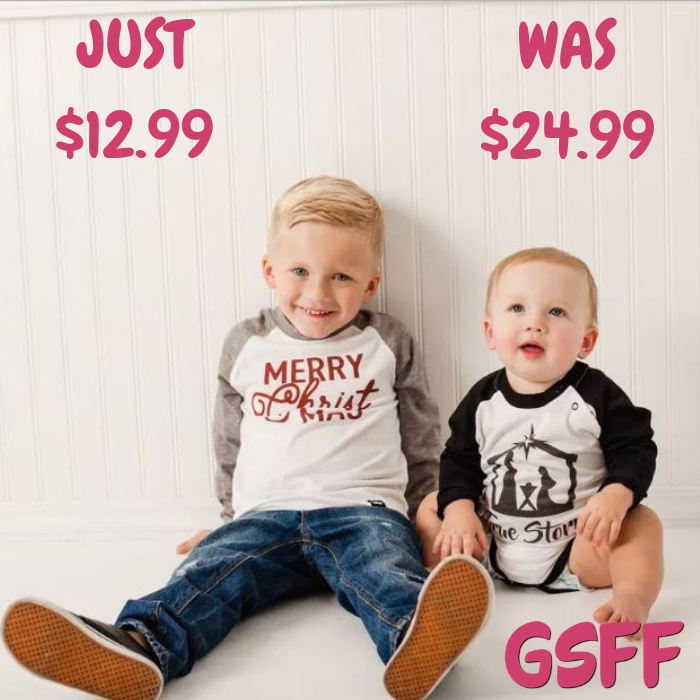 At Jane, you can get this Religious Christmas Tees & Bodysuits for just $12.99 down from $24.99 PLUS FREE shipping! Keeping Christ in Christmas in these raglan tees. Made with calm colors and sweet professionally pressed graphics.